Nicole Constantin - Yoga Off Broadway | Yoga for Every Body! “Nicole’s gratitude and passion for yoga has translated into a wish to care for herself and others by sharing the practices. Her classes which emphasize breath, as well as the subtle and energetic aspects of yoga, come from an inner journey on the mat, leaving behind the more outward performance style focus of yoga poses for an intimate relationship with self and our true divine nature through Asana. With emphasis on Bhakti influenced Vinyasa Flow, as well as Restorative flows, Nicole’s classes include stories of the ancient yogic myths, mantra, and harmonium to uplift our voices in unity. She has a deep fascination with Shakti energy and how the yogic Goddesses can offer teachings to heal our world. Her classes are real and authentic. They can be considered both awakening and challenging while being nurturing and soothing at the same time. 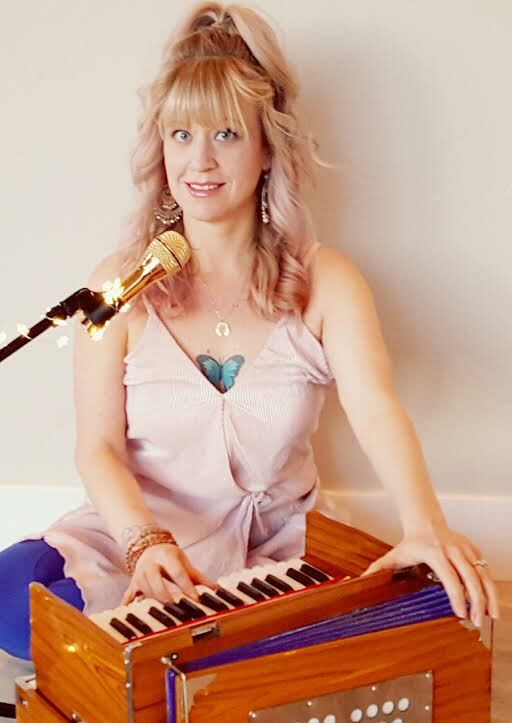 After several hundred hours in training in the healing Bhakti practice of chanting and using harmonium to lead group chants, Nicole’s greatest love is to infuse yoga classes with Bhakti as well as lead simple, intimate, meaningful Kirtan. Nicole’s passion is to make chanting relatable and relevant in our modern times. Nicole is deeply grateful for her many teachers including Janet Stone of San Francisco for her 500 hr, Nat Kendall, Rachel Nelson, Paige Elenson, Baron Baptiste and Mike Cohen. Nicole’s greatest teachers have been always will be fellow yoga students and the practices themselves.